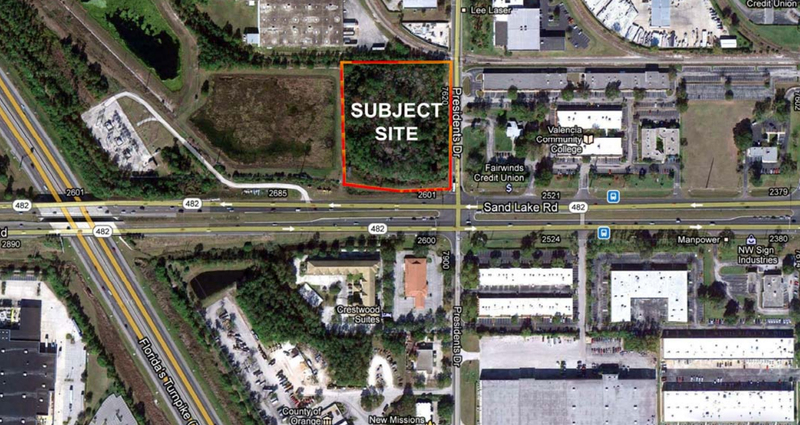 4.24+ Acre Vacant Lot zoned Ind-2/Ind-3, Industrial by Orange County. 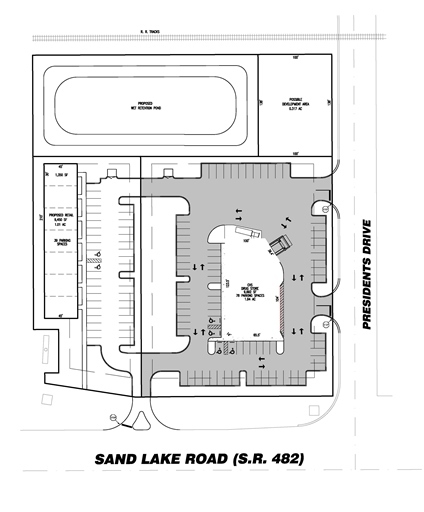 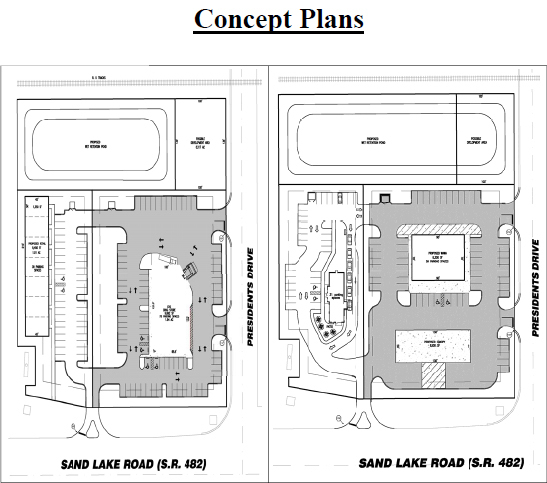 There is 406+ Feet of frontage on Sand Lake Rd and 464+ Feet frontage on Presidents Drive. 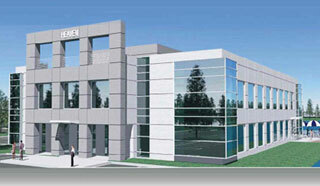 The site is served by all public utilities and off-site retention. 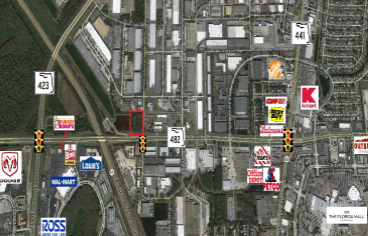 Very high traffic site with excellent potential for a number of commercial uses including Gas Station / Convenience Store. 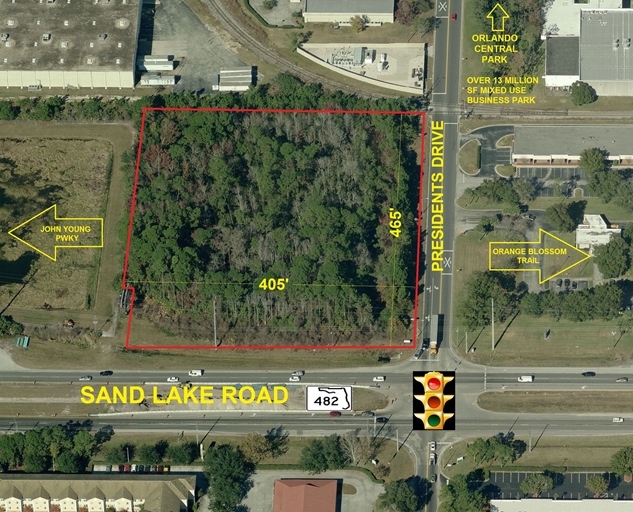 At the gateway of Orlando Central Park which is an established 13MM SF+ mixed use business park with great exposure to Sand Lake Road. 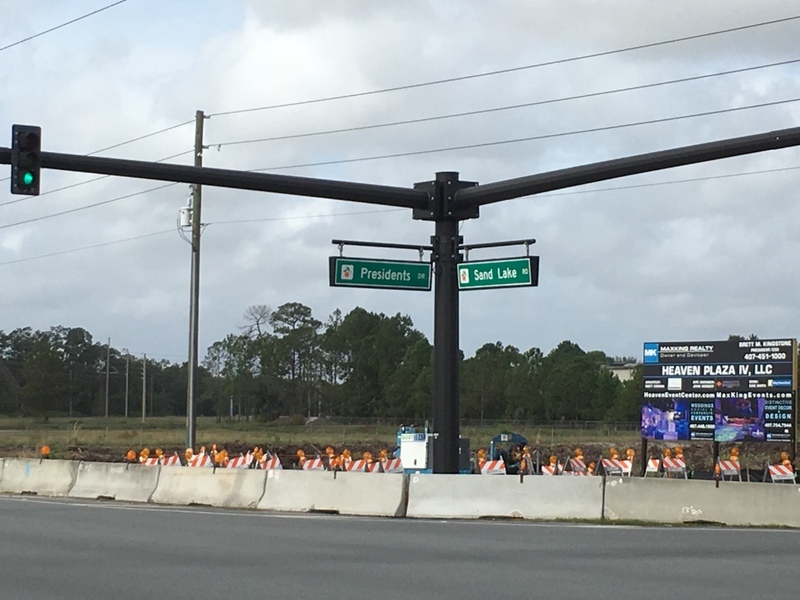 Located between Orange Blossom Trail and John Young Parkway with over 58,518 VPD traffic count and visible from the Florida Turnpike. 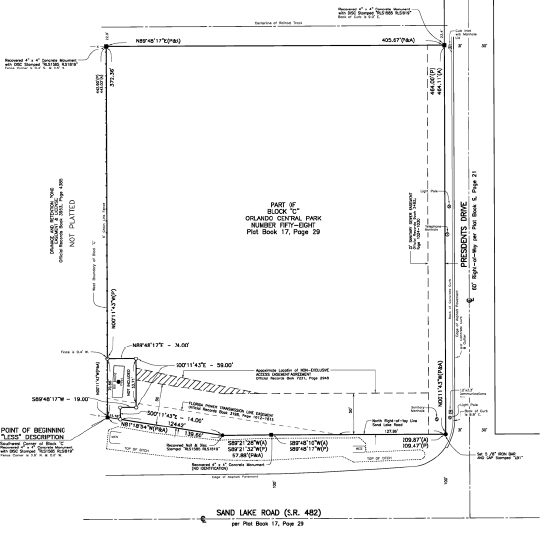 100% land cleared, construction starting Spring 2016.